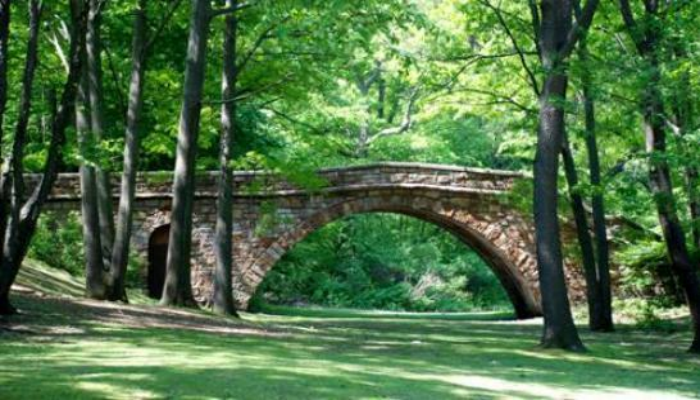 This is another run in Boston that combines history and lovely waterfront running. 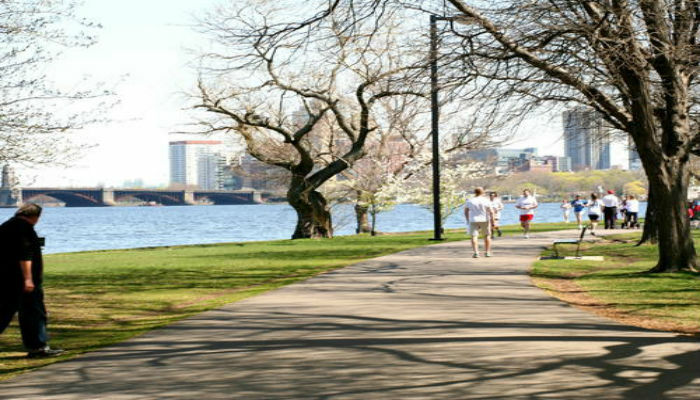 The run includes the brand new North Point Park, across from the Museum of Science, which leads to a new pedestrian bridge connecting to Charlestown. The run in Charlestown is wonderful — along the Freedom Trail past the USS Constitution, and then along the Harborwalk to the end, with wonderful waterfront and Boston skyline views. At the end of the Harborwalk, come back along 1st Ave., past some interesting historic buildings of the Charlestown Navy Yard. 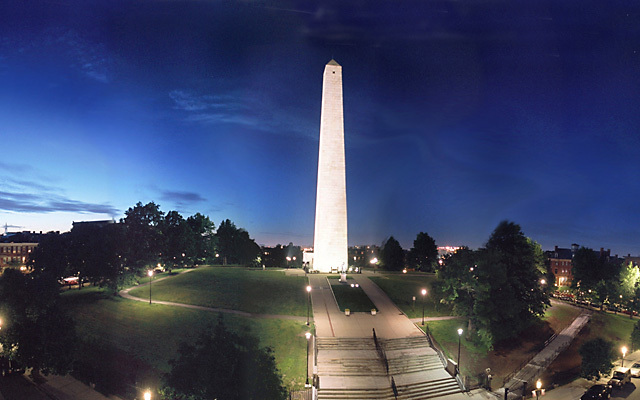 Take 5th St. up to Chelsea St., and a nice jaunt up to the Bunker Hill Monument, was erected to commemorate the Battle of Bunker Hill, which was among the first major battles between British and Patriot forces in the American Revolutionary War, fought there June 17, 1775. The 221-foot granite obelisk was erected between 1827 and 1843. The run returns from Bunker Hill back down to the Navy Yard, and back over the bridge and North Point Park.